Open Chords in C Major Hi, I'm Grey and this is Hub Guitar. 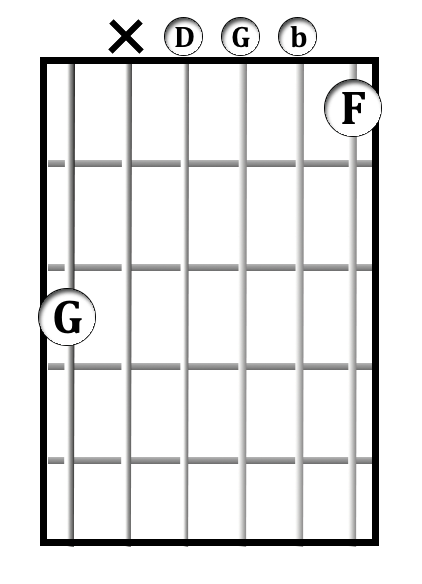 Chords are built from scales. Since the C major scale, which we learned previously, has 7 notes in it, we are able to build a large number of chords using those notes. 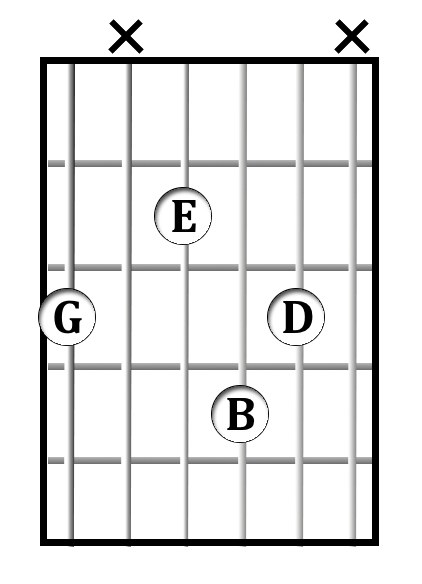 The most common way to build chords is to take the notes of a scale and stack them using the every-other method. 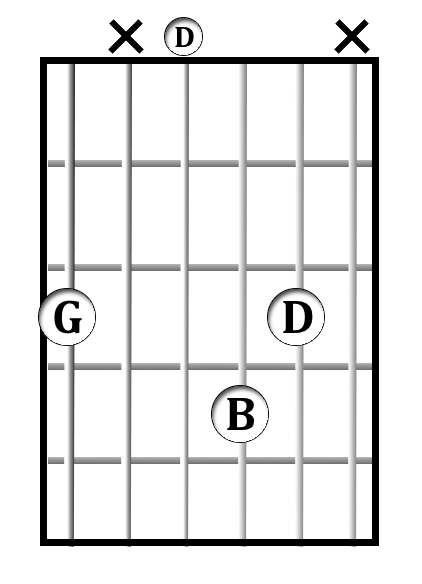 This is called in musical terms, "thirds". From C to E is three, and from E to G is three. 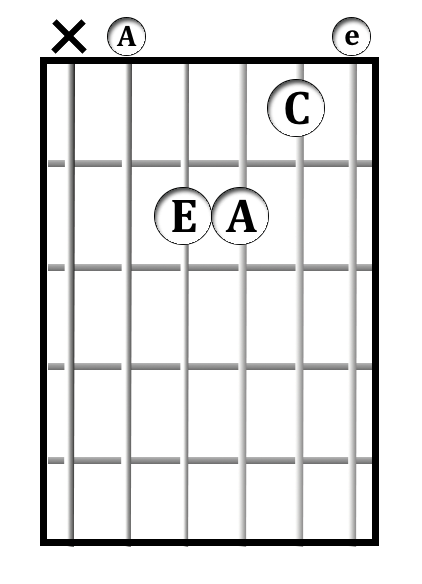 So there's your first chord: C, E, G. And it's created in thirds. 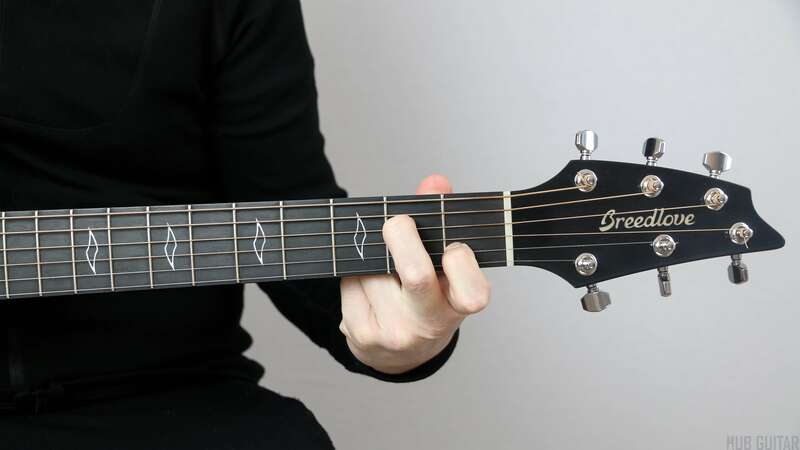 Many of the very first chords you will learn on the guitar will be in the key of C major, which means that they use the notes from the C major scale. 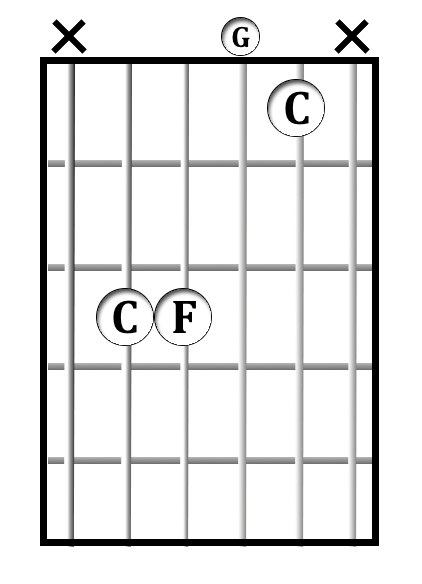 That scale is simple to understand because it has only natural letters; C, D, E, F, G, A, B. 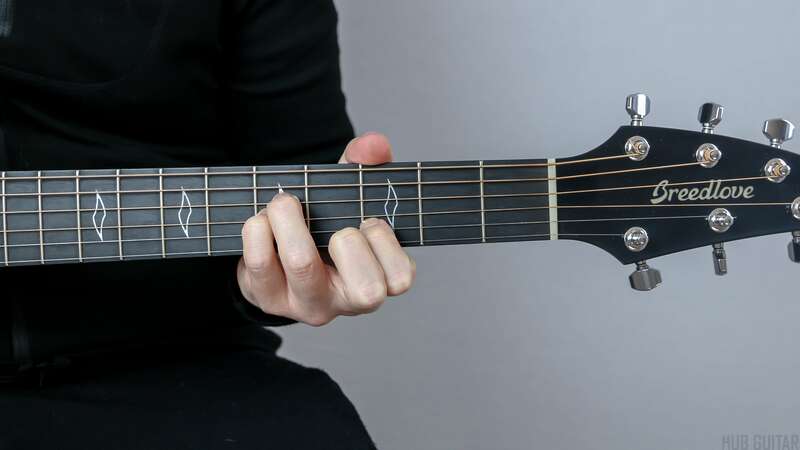 No C sharp or D flat or any of that. 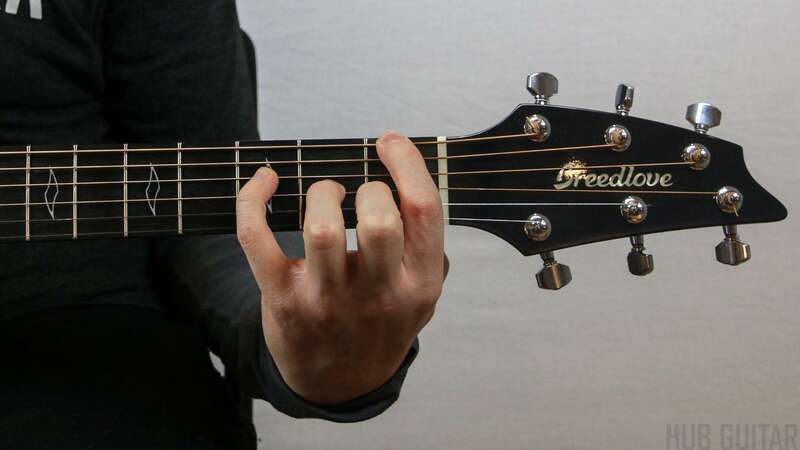 And they'll also tend to be in the open position. 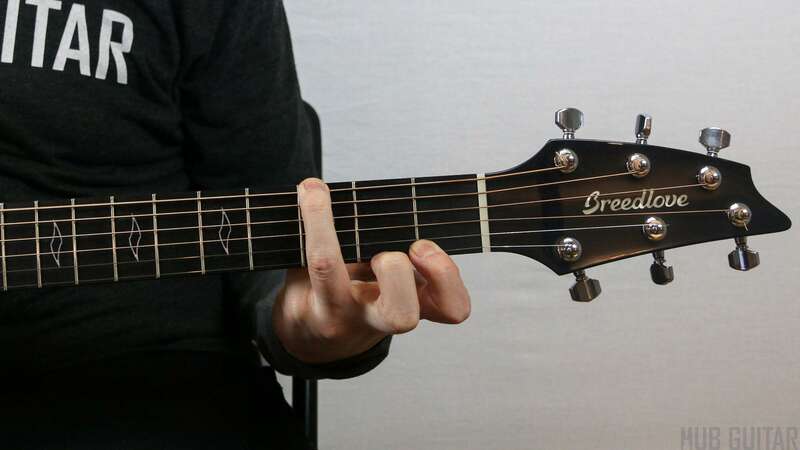 That's because it's easier to play chords that use open strings, at least at first. 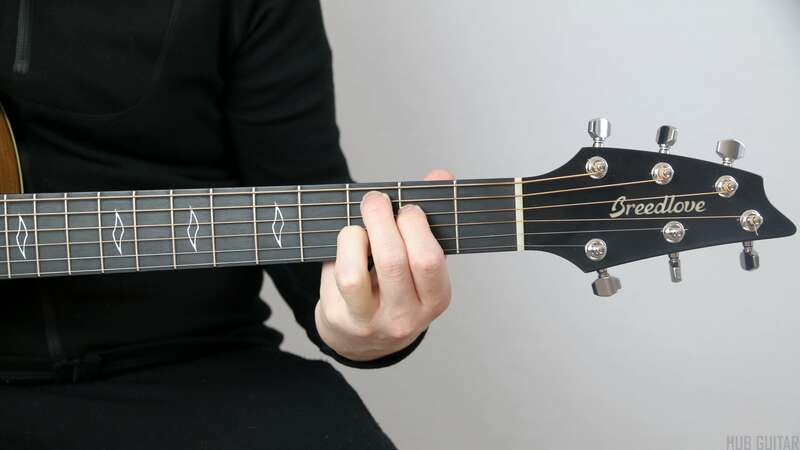 On this list below, you'll find a number of chords that you may have already encountered. But you'll see that they are grouped together. 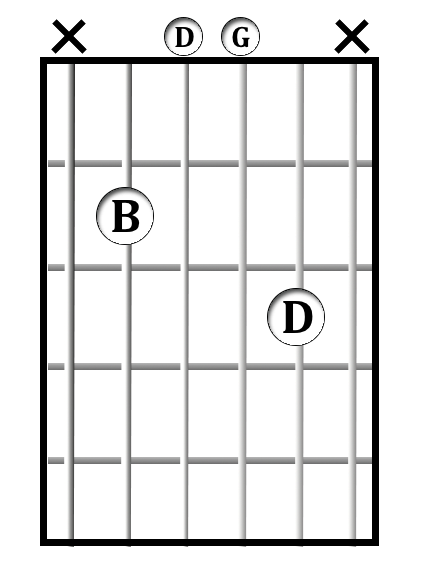 In many cases, the chords within a group can be considered interchangeable. 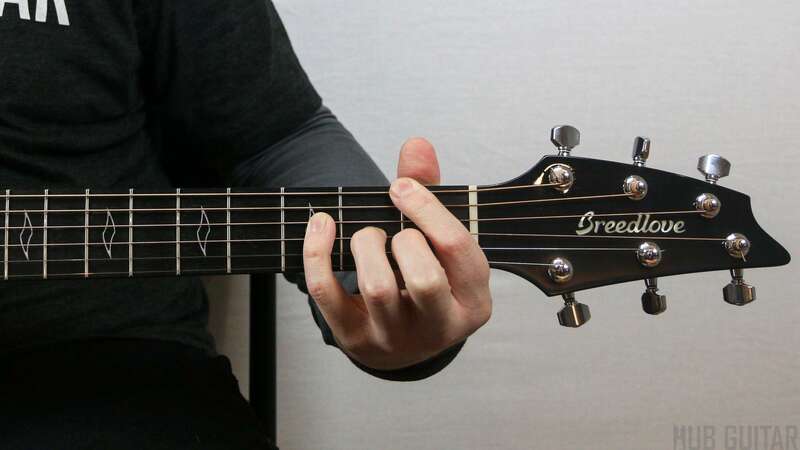 So you can experiment in one of two ways. 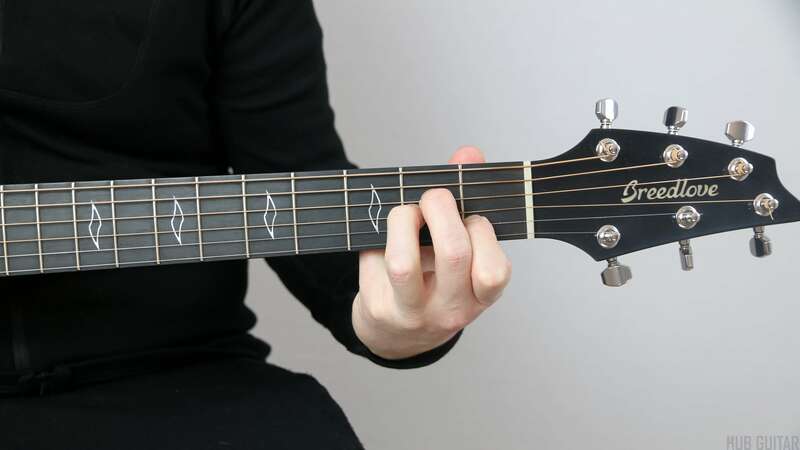 First, you can decorate a chord from a chord progression by splitting it into two. 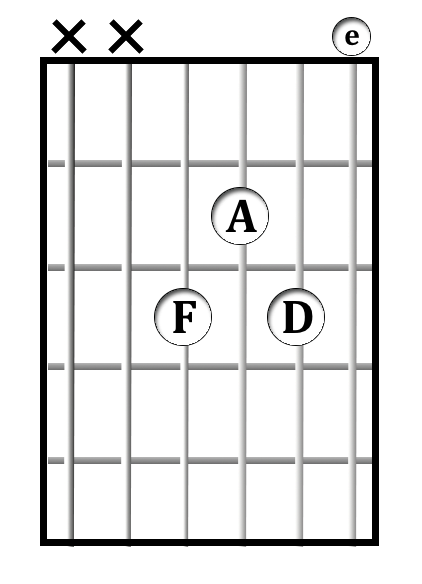 Let's consider C, Am, F and G, each for four beats. 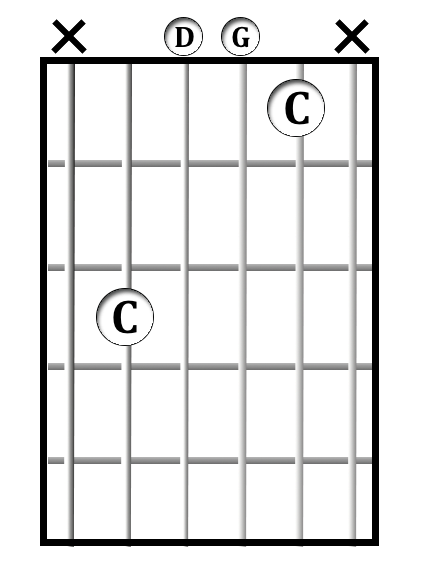 The C chord we can start as Csus4, then go to C. Each for two beats. 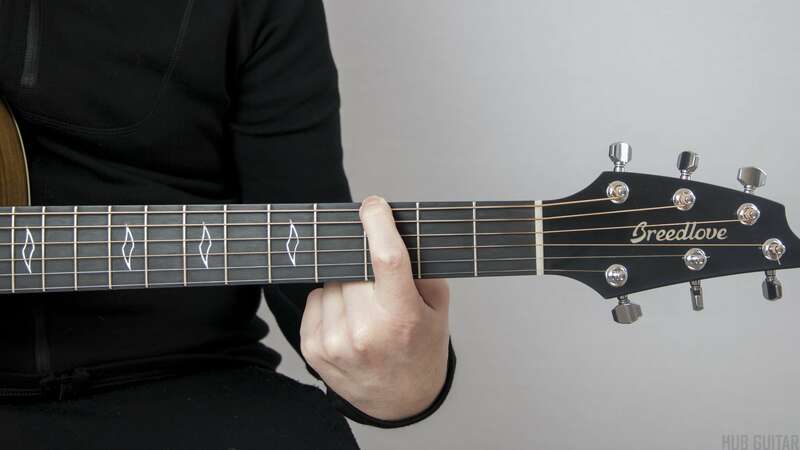 Then continue on. 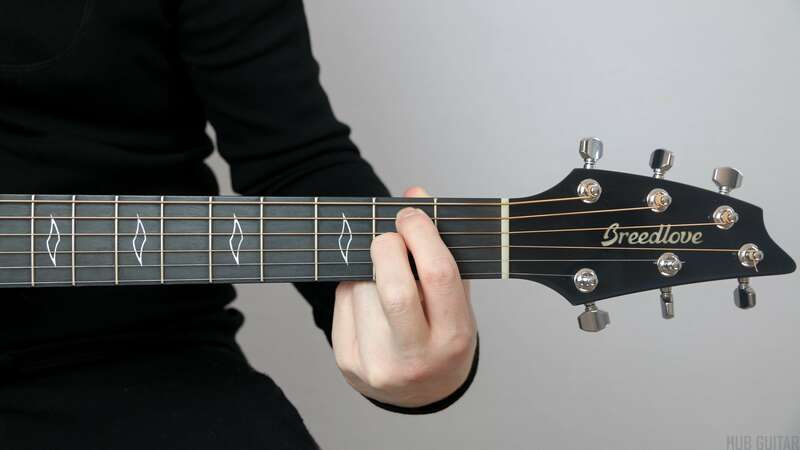 So I split the chord's time in half, giving two beats to the Csus4 and two beats to the C. It creates a more interesting sound than just playing the chord as written. 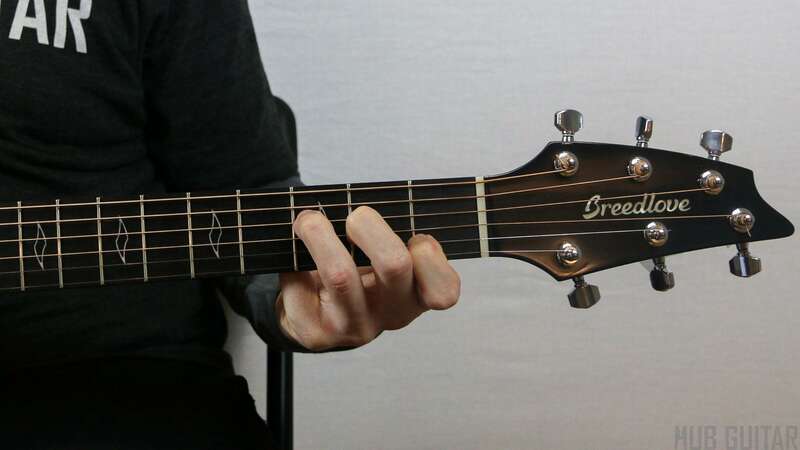 The other way you can experiment is by actually substituting chords. 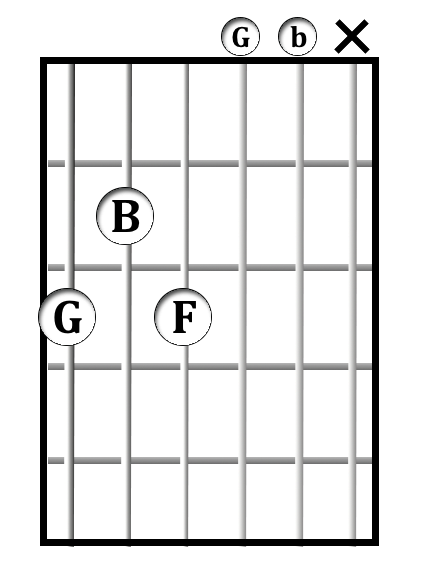 For example, if I wanted this to sound a bit more jazzy, I might play it like this: [Cmaj7, Amin11, Fmaj7, and G6.] 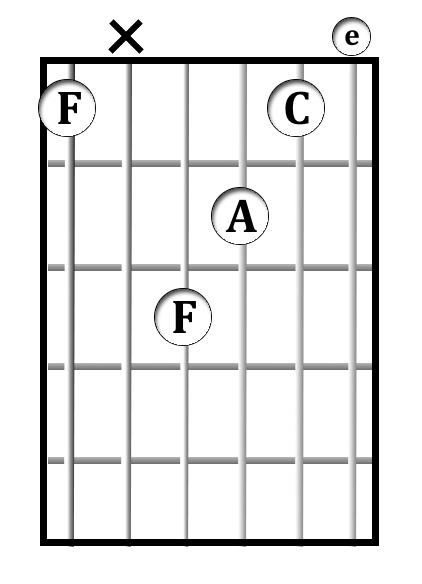 Another thing to keep in mind: sometimes a chord given on this list might be easier to play than the one you already know. 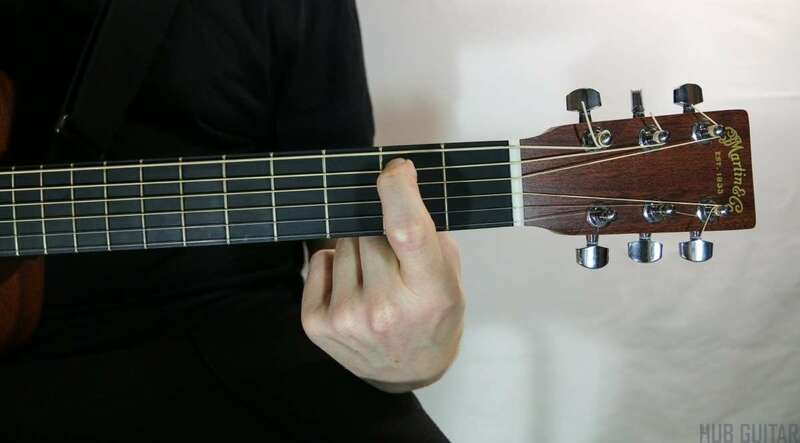 For example, this G here requires only one finger: [G maj, one finger] The reason that was probably not the first G major you were taught is just because it's inconvenient to teach beginners how to mute or avoid unneeded strings. 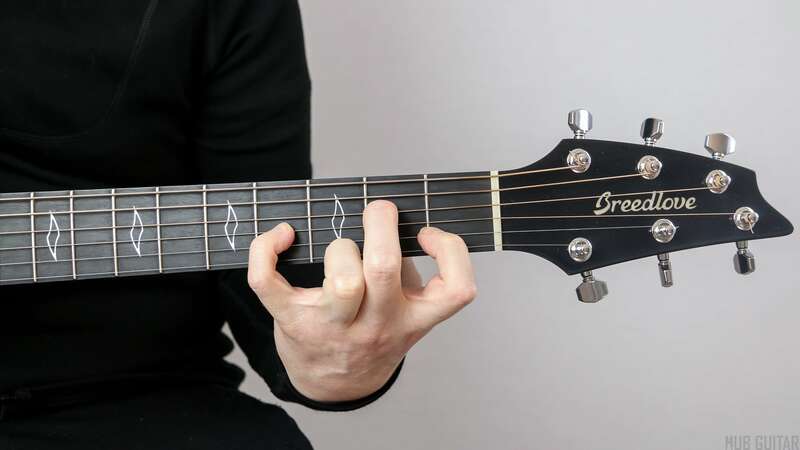 The 5th and 1st strings would have wrong notes that don't that fit that chord. 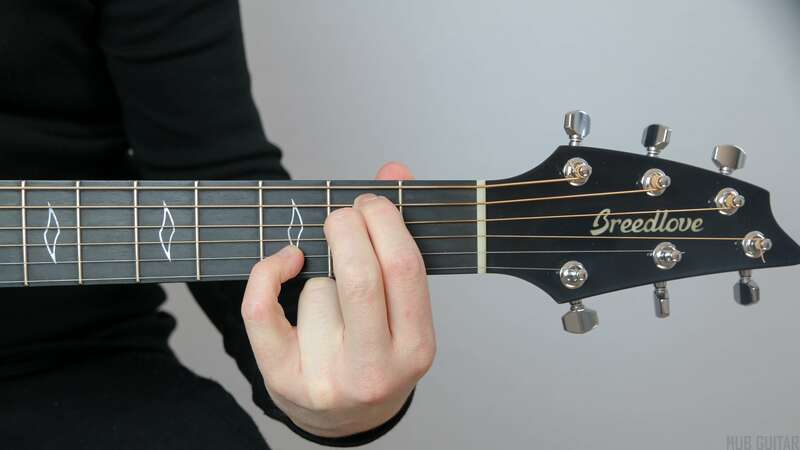 But since I'm playing the chord with my fingers, it's actually very easy just to play the correct strings only. 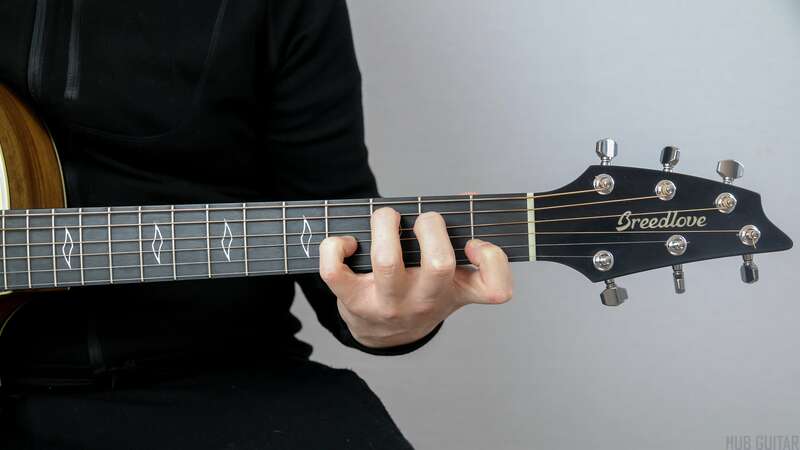 But the first chords you encounter will probably emphasize chord shapes that are "fool-proof" meaning that most or all of the guitar strings can be played without any wrong notes. 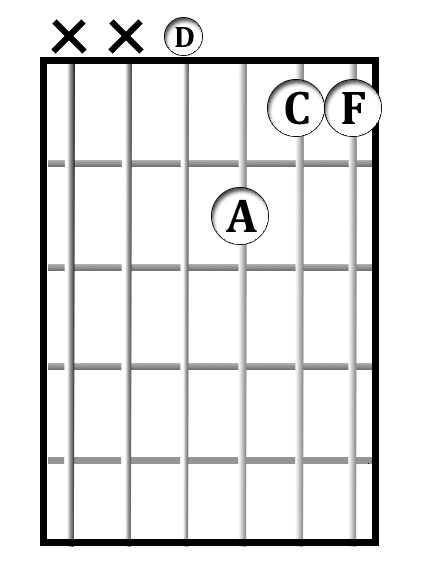 So study these chords, and compare them to each other. 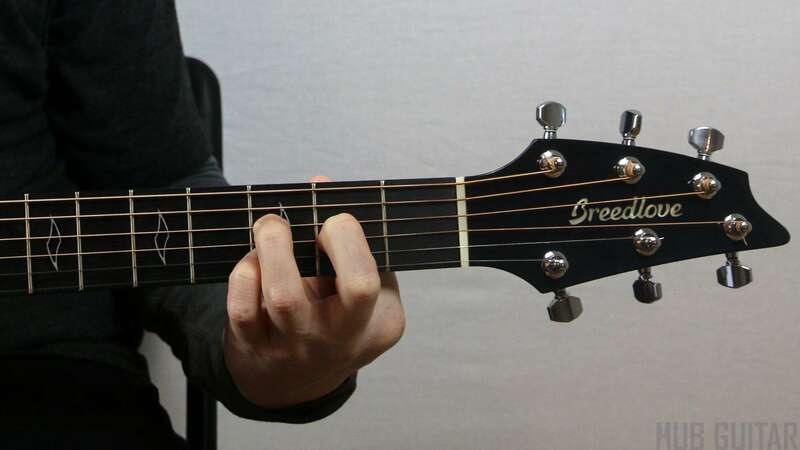 Apply them to the songs you're working on strumming. 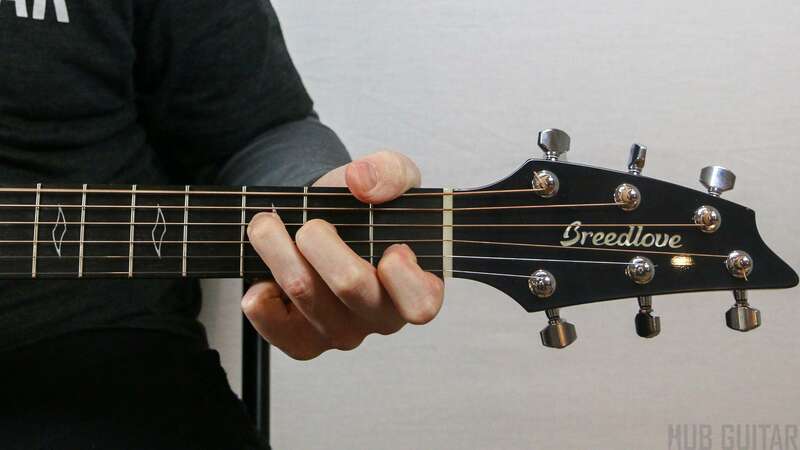 You don't necessarily need to memorize all of these chords right now. 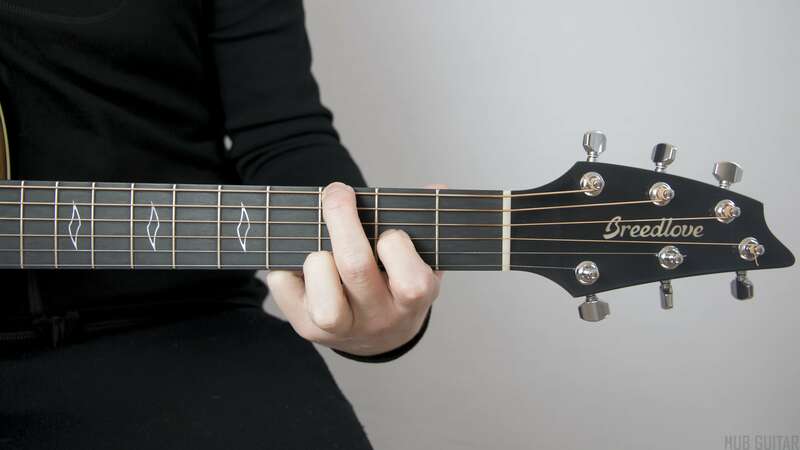 You can always refer back to this list later. 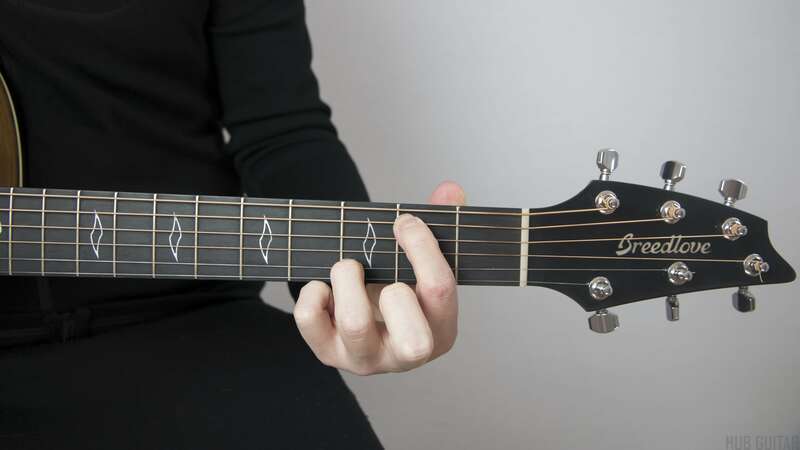 In addition to the “standard” campfire chords you’ve already learned, every chord can be played with many subtle variations. 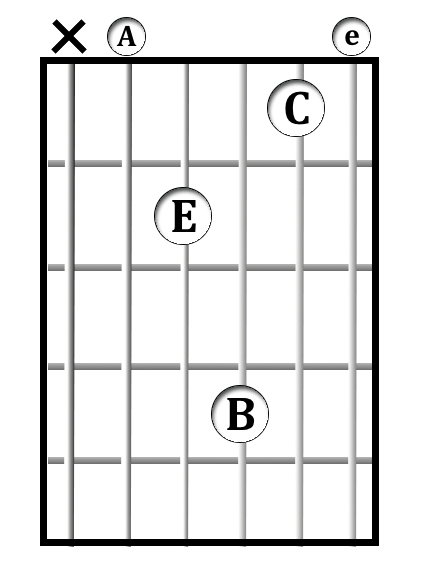 Some of these variations are described here. 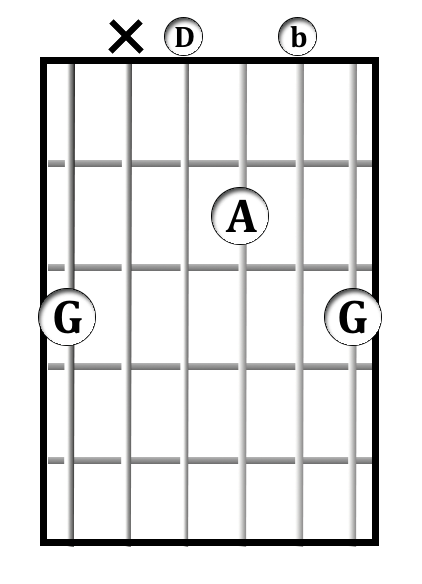 Note that these chords can all be played using the notes of the C major scale. 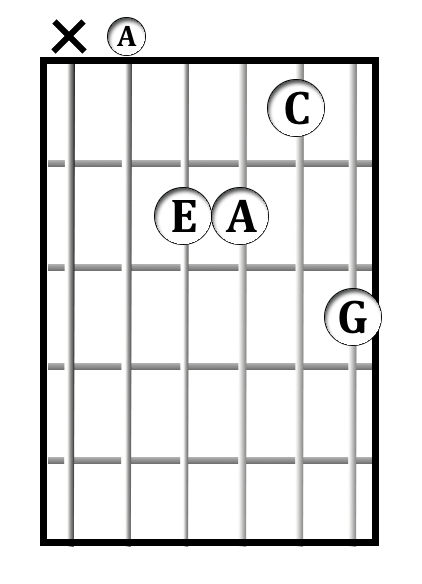 Learning these chords will allow you to play most songs in C major with a great deal of flexibility, enabling you to create much more interesting chord progressions than would be possible by merely using the same standard voicingThe choice of how to arrange the notes of a chord; what order they are in, whether any notes are doubled, and what octave each note appears in.s over and over again. 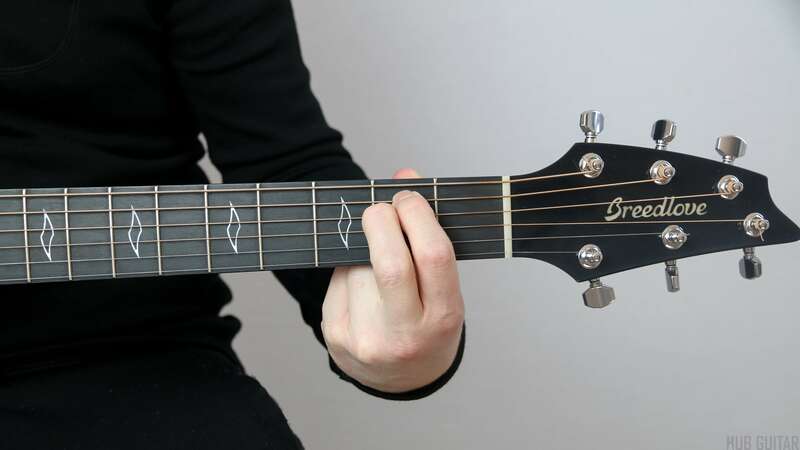 And by adding a capo, you can enjoy a similar level of fluency in other keys. 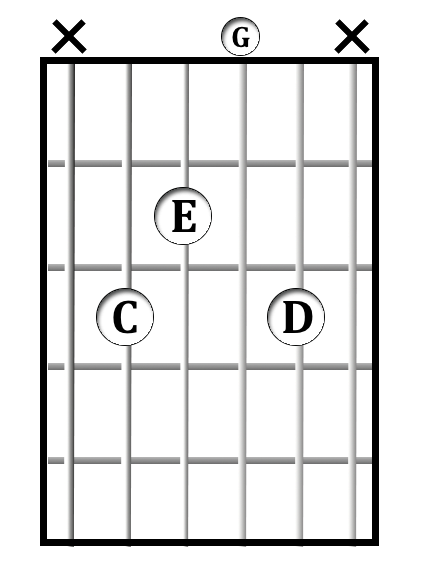 One variation is to create an inversionA chord whose root note is not in the bass layer, with another chord tone put there instead. 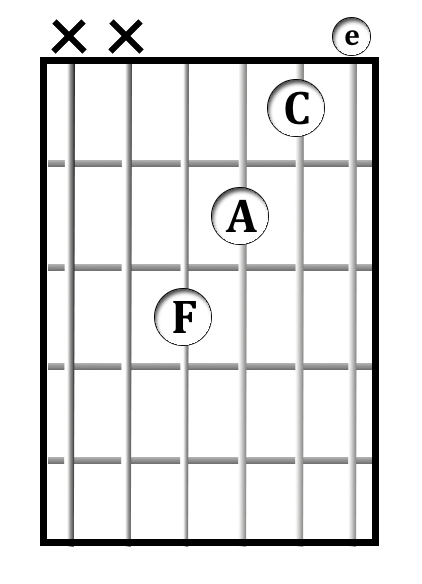 Normally, a C major chord has a C in the bass. 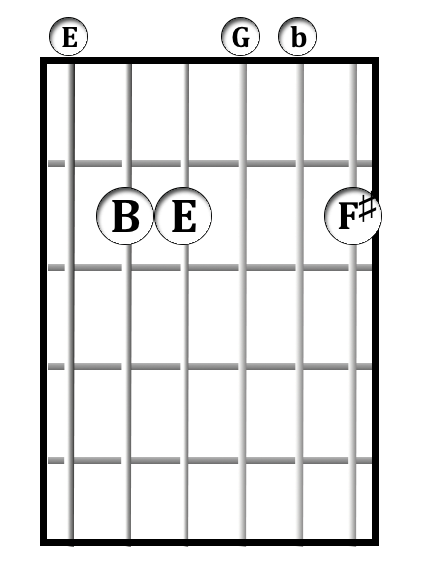 If E or G appear in the bass, this is an inversion. 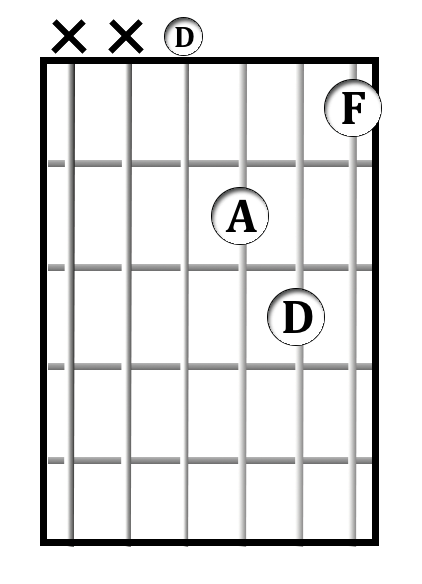 of the chord by putting an alternative note in the bass. Usually the rootThe basic note of a key, chord, or scale; the note which acts as the center and to which all other notes are compared. 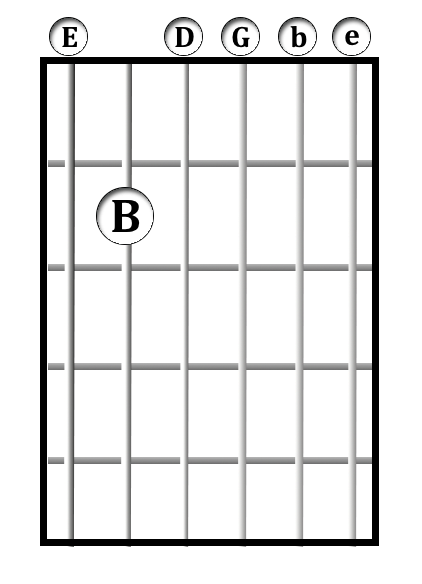 note is in the bass, so placing the 3rd or the 5th in the bass would create an inversion. 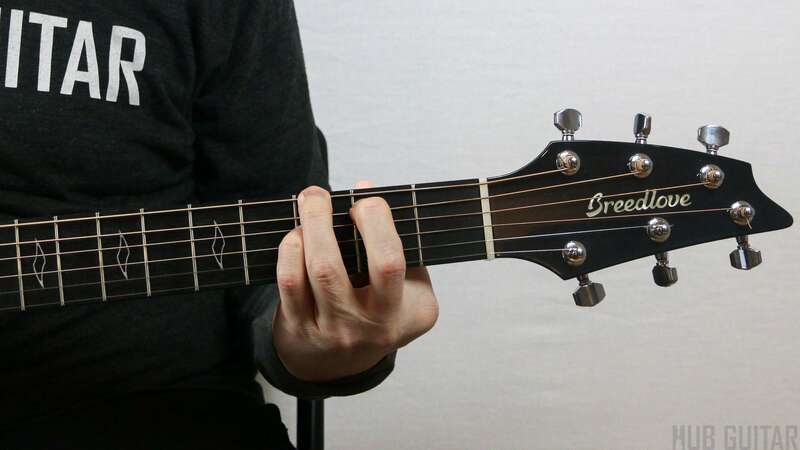 Note: a full explanation on adding color tones to chords is beyond the scope of this lesson! 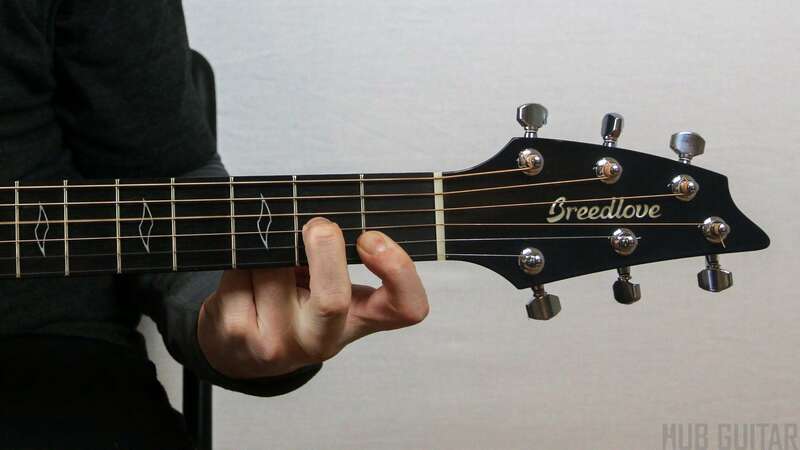 For the theory behind it, read more about Chord Tensions. 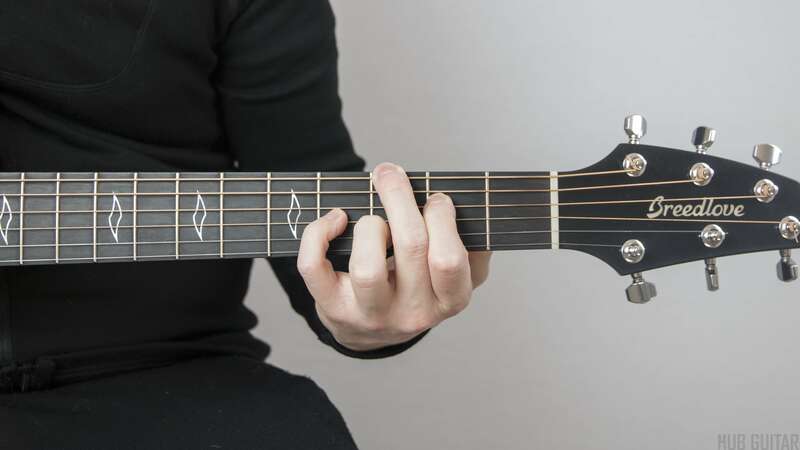 Chords may be made more colorful by adding other notes from the key, so long as those notes also sound pleasant within the chord’s own harmony. 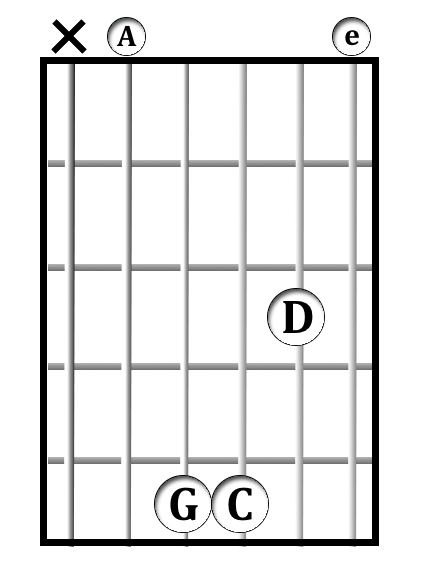 For instance, in the key of C, the note D does not normally belong in the C chord. 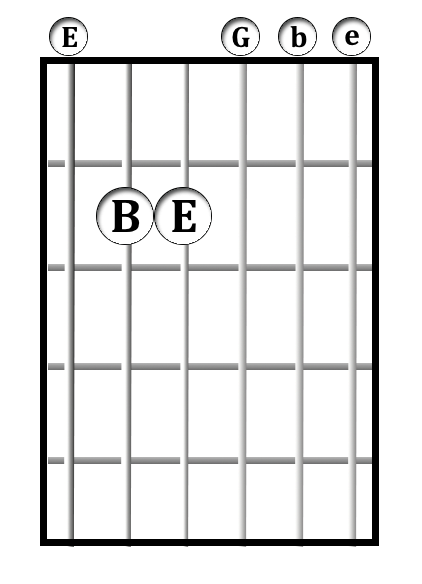 But it can be added for color. 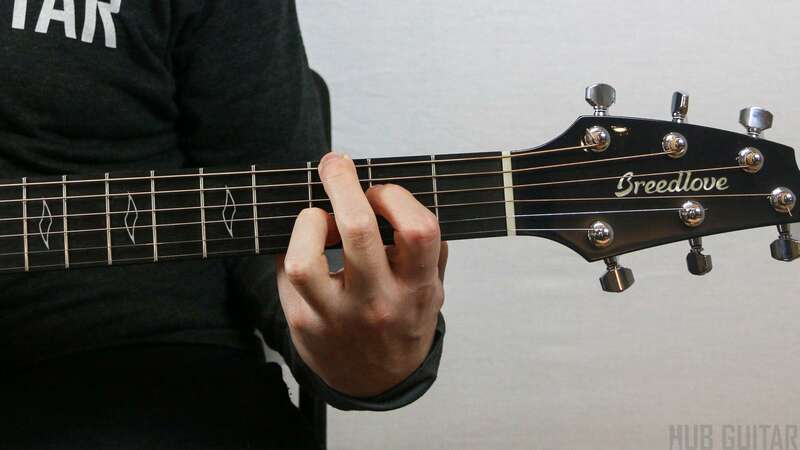 The amount of color this tone adds is subject to the length of the colorful note, it’s overall volume, the way you pluck the string that it is played on, and perhaps most importantly of all the position the colorful note has within a chord. 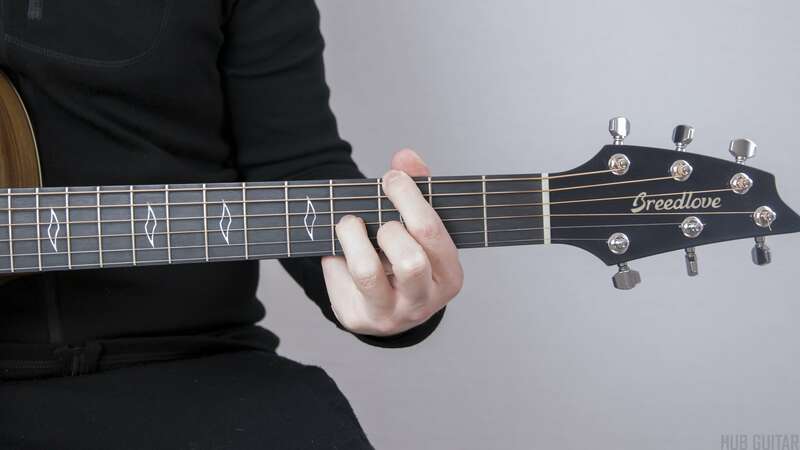 Each of these factors affects the level of emphasis you give to a colorful note. 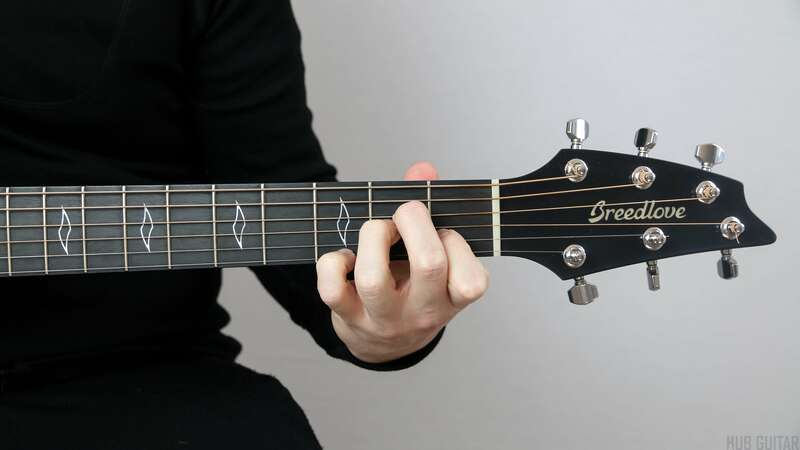 Adding this “D” note by plucking it very softly in a way where it rests somewhere in the middle of the chord voicing, and then almost immediately resolveWhen a note moves to another note a step away, especially when the destination is one that the listener was expecting to hear.s back down to “C” (a correct note of the chord) will sound quite tasteful. 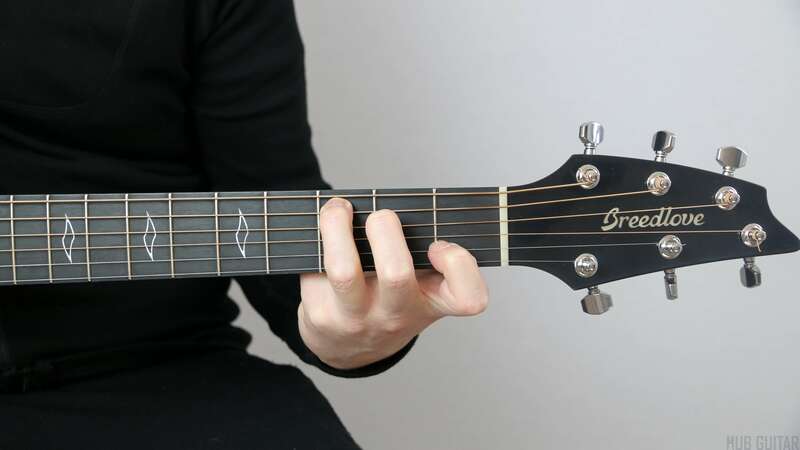 Putting this note in the bass, or playing it loudly or as a very high note will add much more emphasis—and this emphasis may not be desired when all you are trying to do is add a modest bit of color to an otherwise standard chord. 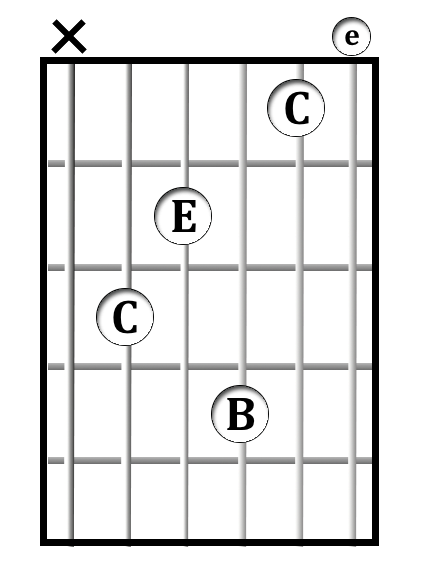 In the key of C major, there are fundamentally 6 different commonly-used chords. 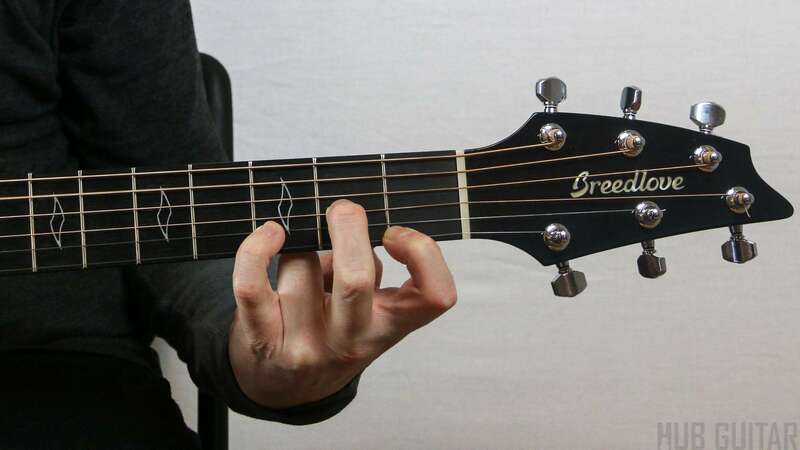 You may decorate them each in many subtle ways to add variety to your playing. 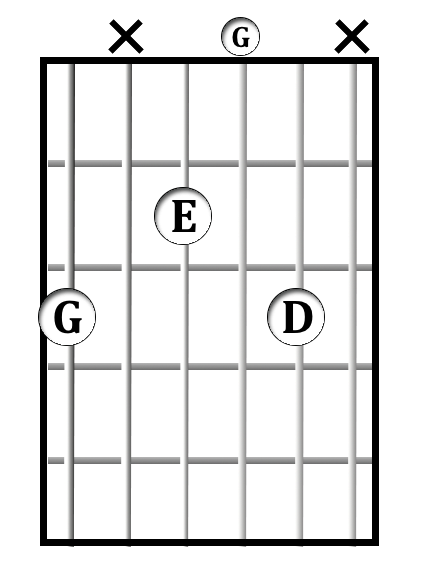 Study all of the chords above; ask yourself why each of the chords is named the way it is. 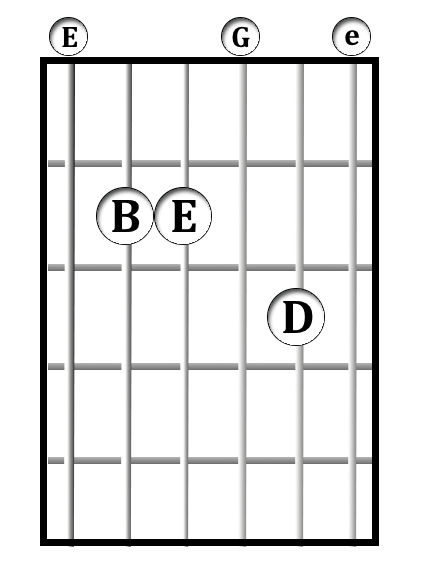 Play through some of your favorite chord progressions from your favorite song(s) using these new chords. 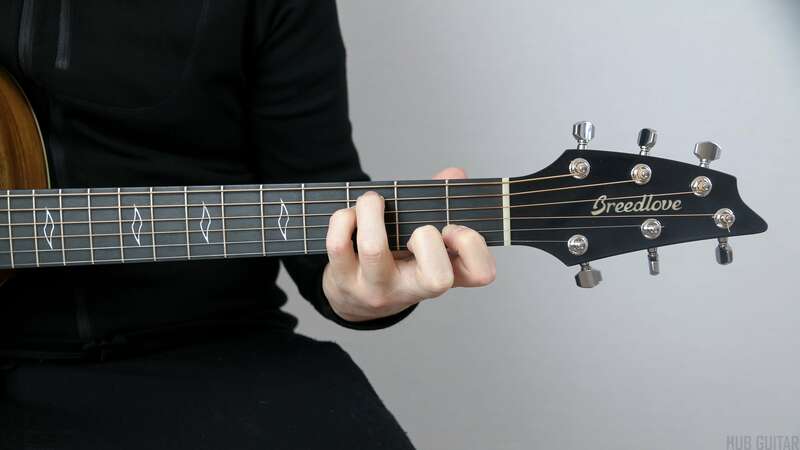 In most cases, you can substitute most of the “I” chords for any other “I” chord. 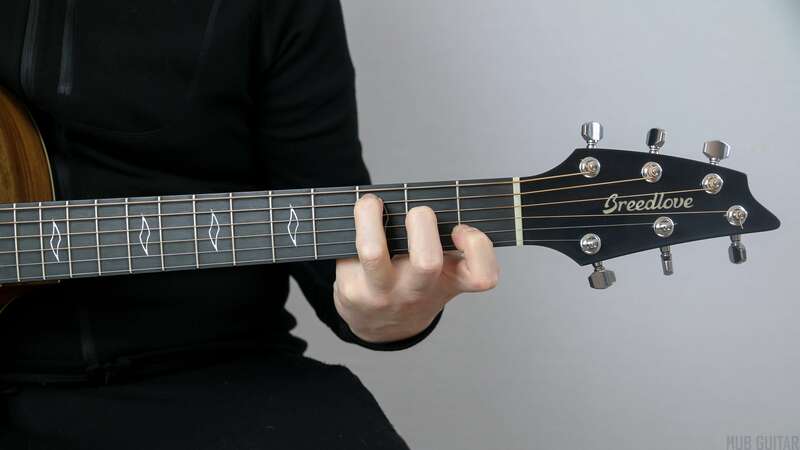 There are exceptions, but in general, you can experiment with interchanging these chords freely.